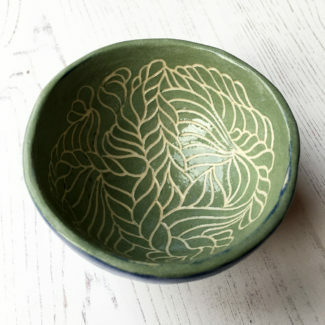 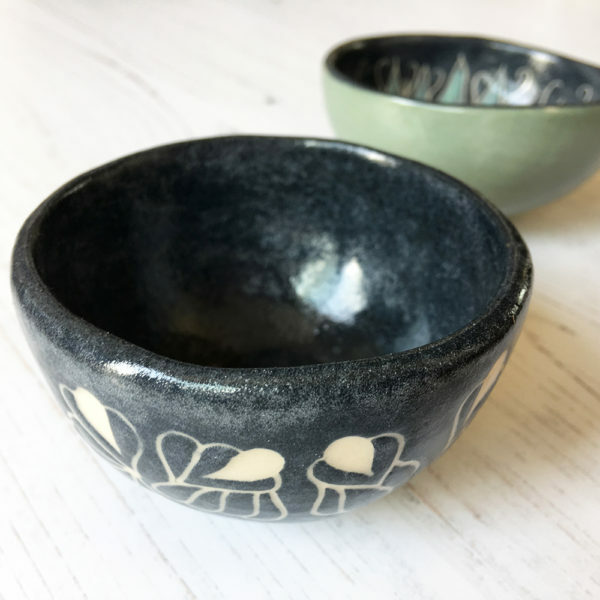 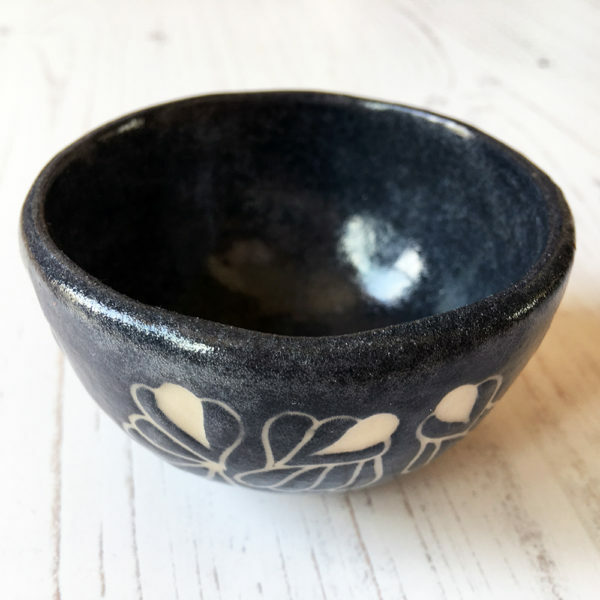 A little stoneware pinch pot decorated in black slip with a carved design around the rim. 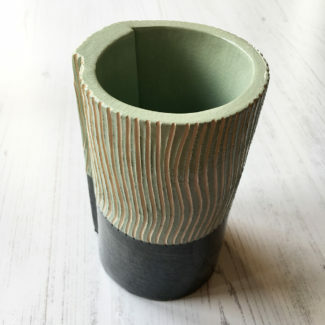 The pot has been only lightly glazed to give it a more tactile feel and a more ‘artisanal’ look to it. 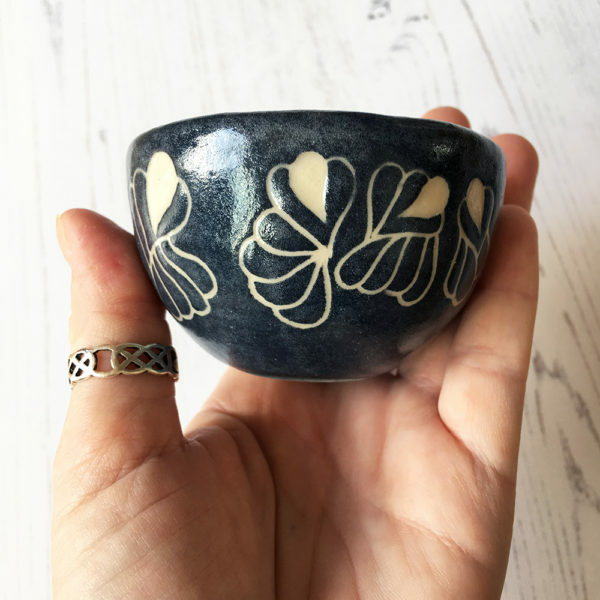 This is an idea gift and would suit a dresser as a ring dish. 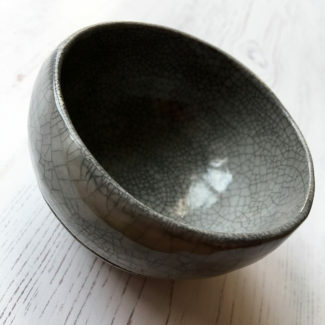 The pot measures about one and a half inches across, and stands around two inches high.